Windows Media Player 9.0 ou superior. Agora você pode visualizar na Target com apenas 1-Clique. 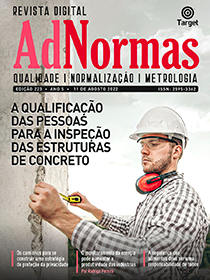 É só se logar no site, configurar um cartão de crédito preferencial e aproveitar a forma mais rápida e segura de visualizar uma norma. Caso queira incluir este e-Book no carrinho e continuar pesquisando, ou então optar por outra forma de pagamento (como boleto bancário) ao fechar o pedido, clique no botão abaixo. This book is the culmination of inter-firm comparisons done by the author of more than 4,000 companies in over 100 different industries. These productivity analyses and comparisons all show that virtually every organization, even the best, can learn from their competitors and counterparts, as well as from self-analysis, about how to achieve more and better through improved organization and utilization of their resources. Part I explains what productivity is and why it’s so important. Part II describes how productivity problems and opportunities can be identified through measurement and systematic analysis. While this is not a statistical textbook, it explains through simple and practical solutions how one can benefit from relevant measurement. Part III outlines how each individual person can improve their productivity and become significantly more efficient and effective. Part IV reviews how productivity can be enhanced through better planning, organization, use of time, knowledge, technology and resources. This basic and comprehensive book is intended for entrepreneurs, managers of local branches of large corporations, such as banks, business chains, as well as managers or aspiring managers in other private or public organizations. It is essential reading for students of business administration, economics, as well as managerial practices, and fills a hole in the training of students in all fields where they will manage people and resources. Professionals, other knowledge workers and technical people also benefit because their professional training usually concentrates on their specific expertise and not productivity improvement. Over the years it has become clear that even managers of the best organizations can benefit by learning from the experience of others.